You are currently browsing the category archive for the ‘Belgium’ category. 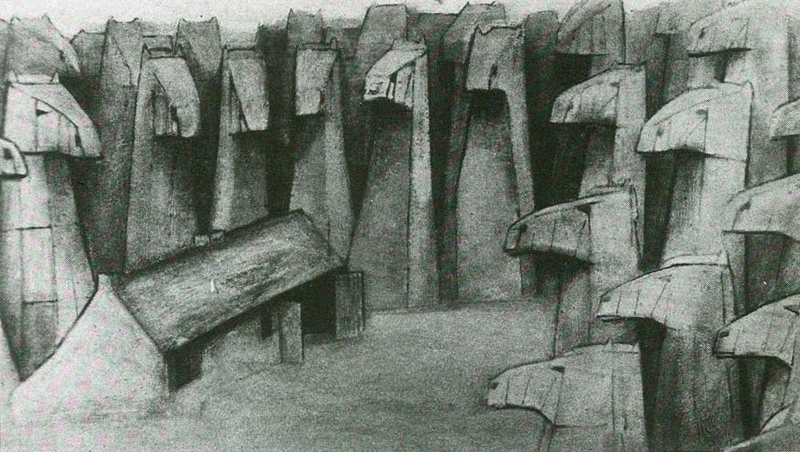 ‘A Greek Tragedy’ won an Academy Award and the first prize at the Annecy Inernational Film Festival. I remain puzzled why. ‘A Greek Tragedy’ was Van Goethem’s first own film. It’s a classic gag cartoon featuring three living, scarcely clad female caryatids supporting an old ruin. When the ruin crumbles, and they’re finally free, we watch them dancing into the distance. The designs are trite, the synthesizer music is ugly, the humor is poor, and the story forgettable. 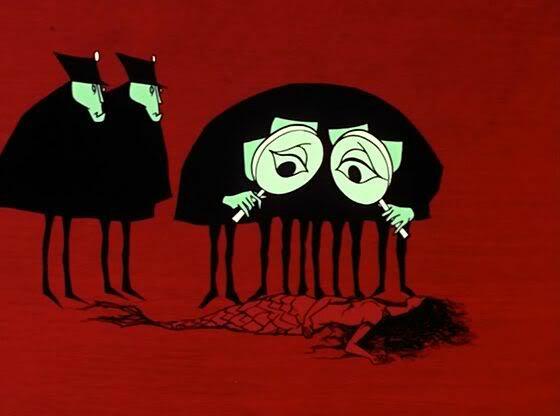 If this short has a hidden, perhaps feminist message, it’s lost on me. And then to imagine, that one of the short’s competitors for the Oscars was ‘Luxo jr.’, a far more convincing and rewarding film in every respect! ‘Betty’s Blues’ is Vandenitte’s ode to the country blues, and its origins in the South of the United States. The film is a frame story, with two distinct styles. The framing story is told in stop-motion. We watch a young black blues singer perform in a small and empty bar near a metro line (we hear the cars rattling by from time to time). The singer tells his audience the story of Betty’s Blues. Enter the drawn animation. 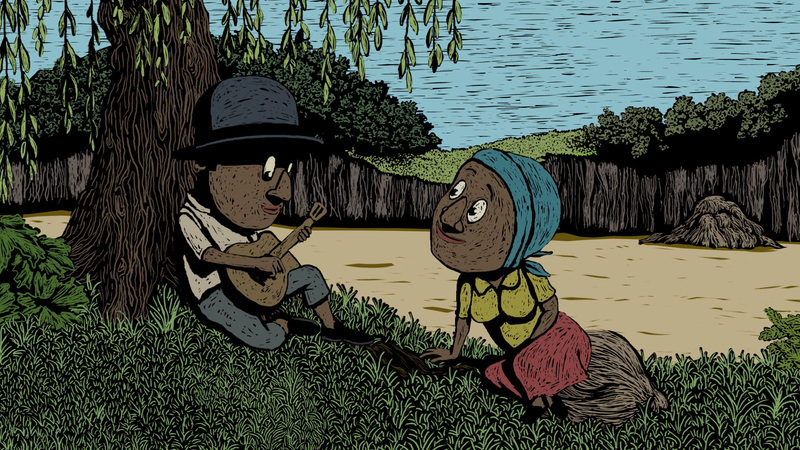 The story itself is about a blues singer who loses his girl to the K.K.K. and becomes blind himself. In return for his blindness he receives the gift to make everybody dance to his guitar playing. When he meets the K.K.K. again, his revenge is sweet. The film ends with the audience shocked with horror by this rather violent story. Both Vandenitte’s stop-motion and 2D animation are of a high quality. His stop-motion puppets have a delightfully gritty texture, and Vandenitte’s animation of guitar playing is wonderfully convincing. In the 2D sequences Vandenitte makes use of a technique simulating wood carving, combined with bold and evocative coloring, sometimes mimicking the color palette of that great cinematic ode to the musical South, ‘O Brother Where Art Thou’. The result is a gorgeous film, if a little shallow in the end.